Prevents infections caused by urine and feces. 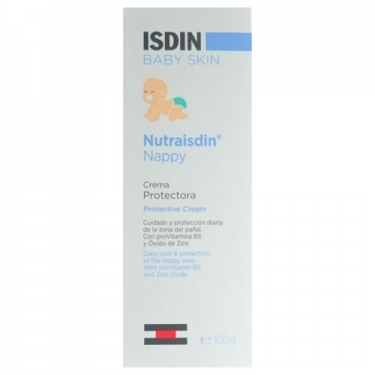 DESCRIPTION: Nutraisdin Nappy Protective Cream from Isdin is a protective and protective care indicated for the diaper changes of newborns and babies. It repairs and soothes weakened skin, while forming an absorbent protective barrier that protects the skin from aggressions caused by contact with urine, feces and diaper friction. 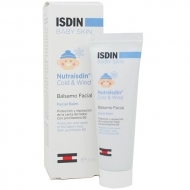 Soft textured, it moisturizes without stopping the skin from breathing, leaving it soft and providing greater comfort to the baby. Tested under pediatric control. 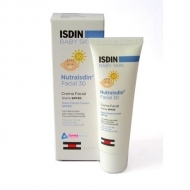 This cream has 15% zinc oxide to help nourish and protect the skin against the aggressors by having an antiseptic action to prevent infection. This is a daily use cream that should be used in every diaper change and is very easy to apply and remove, so as not to cause more aggression to the skin. Apply gently on buttocks and wrinkles clean and dry. Renew the application with each change of diaper.